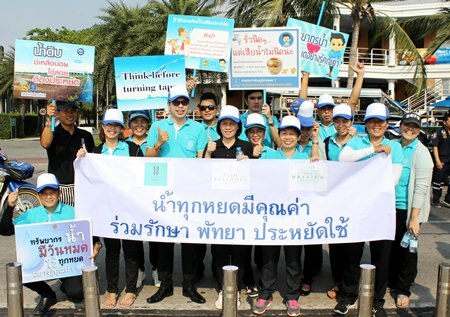 The management and staff of Siam Bayshore Pattaya, the Bayview Pattaya and Wave Hotel Pattaya recently took part at the “Water-Saving Campaign” parade organized by Pattaya City and the Provincial Waterworks Authority, Pattaya. The event was organized to create awareness for people to save water and not to pollute it as well as to show the importance of water for us and our environment. The parade was held on Pattaya Beach Road.